Check out our unexpected availability for February school holidays, from 9th to 16th February. As the UK has two half-term weeks, why not check which one your kids are taking, and take advantage of the quieter slopes as the French school break and main UK half-term does not commence until the following weekend. Price just 1000€ for the 7 nights including linen, towels, end of stay cleaning and use of Chamoissiere’s heated pool, sauna and hammam. Click below to make a booking and reserve your stay now. 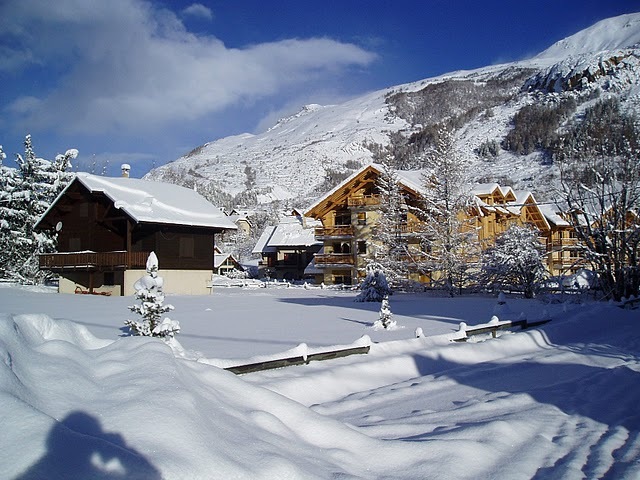 Why not take advantage of our special break in Serre Chevalier for families this Christmas ? Our beautiful chalet has a fantastic location just a 200m walk from the pistes with views of the mountains. We are including a two hour family pass for 2 adults and 2 children over 4 years of age for the thermal baths which are just 200m from the apartment. Why not treat your loved ones this Christmas? Price of 1100€ also includes linen towels and cleaning and use of the pool , sauna and hammam at Chamoissiere. We can also arrange for your lift passes to be ready in the apartment if you wish and can offer discount on ski and boot hire too. Lessons can be arranged with New Generation in Serre Chevalier. Dates available Dec 22nd-29th. Please click on the button below to place a booking. Romantic Christmas Break in Serre Chevalier. 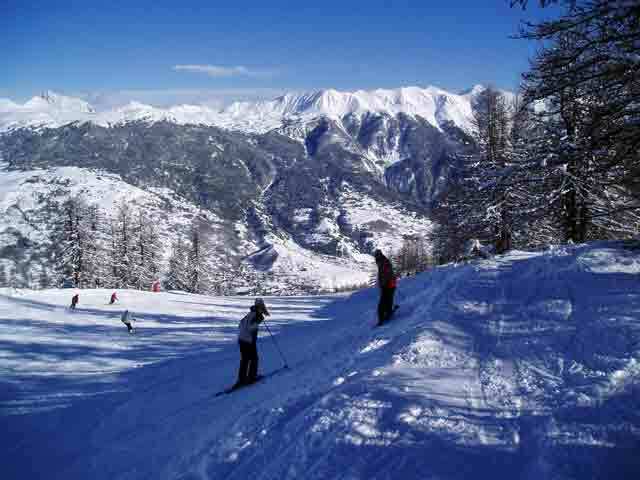 Why not take advantage of our special break in Serre Chevalier for couples this Christmas ? Our beautiful chalet has a fantastic location opposite the pistes with views of the mountains. We are providing bathrobes, luxury toiletries and wine on arrival, with a pass for two people included to the thermal baths in Monetier-les-Bains, which are just 200m from the apartment. Why not treat your loved one this Christmas? Price of 1100€ also includes linen towels and cleaning . We can arrange for your lift passes to be ready in the apartment if you wish and can offer discount on ski and boot hire too. Lessons can be arranged with New Generation Serre Chevalier. Dates available Dec 22nd-29th. Please click on the button below to place a booking.